The continued growth of compute services by leading Cloud Service Providers (CSPs) like Microsoft, Amazon, and Google are transforming the architecture of modern software applications, as well as the software development lifecycle (SDLC). Self-service access to fully-managed, reasonably-priced, secure compute has significantly increased developer productivity. At the same time, cloud-based access to cutting-edge technologies, like Artificial Intelligence (AI), Internet Of Things (IoT), Machine Learning, and Data Analytics, has accelerated the capabilities of modern applications. Finally, as CSPs become increasingly platform agnostic, Developers are no longer limited to a single technology stack or operating system. 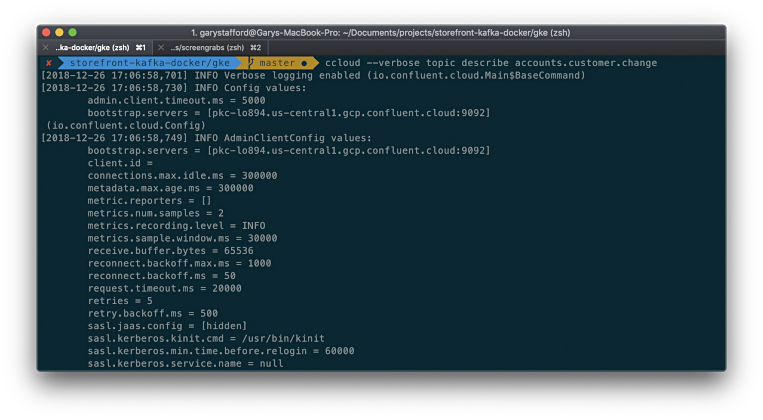 Today, Developers are solving complex problems with multi-cloud, multi-OS polyglot solutions. Developers now leverage the Cloud from the very start of the software development process; shift left Cloud, if you will*. Developers are no longer limited to building and testing software on local workstations or on-premise servers, then throwing it over the wall to Operations for deployment to the Cloud. Developers using Azure, AWS, and GCP, develop, build, test, and deploy their code directly to the Cloud. Existing organizations are rapidly moving development environments from on-premise to the Cloud. New organizations are born in the Cloud, without the burden of legacy on-premise data-centers and servers under desks to manage. 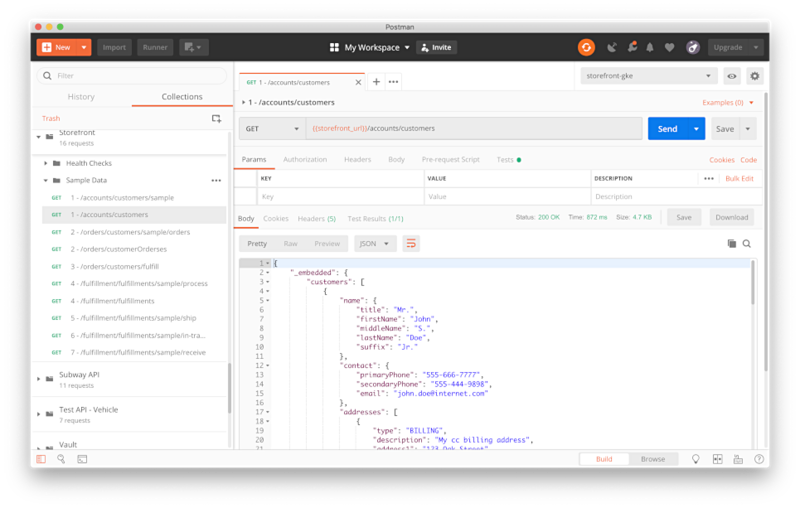 To demonstrate the ease of developing a modern application for the Cloud, let’s explore a simple API-based, NoSQL-backed web application. 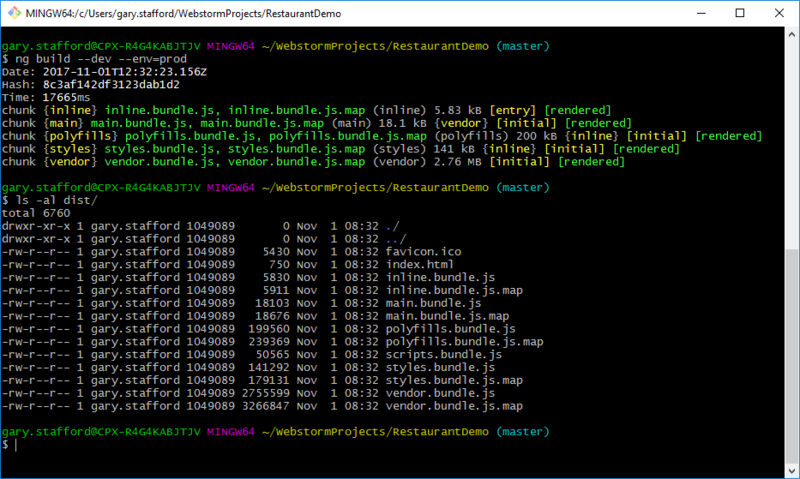 The application, The .NET Diner, simulates a rudimentary restaurant menu ordering interface. 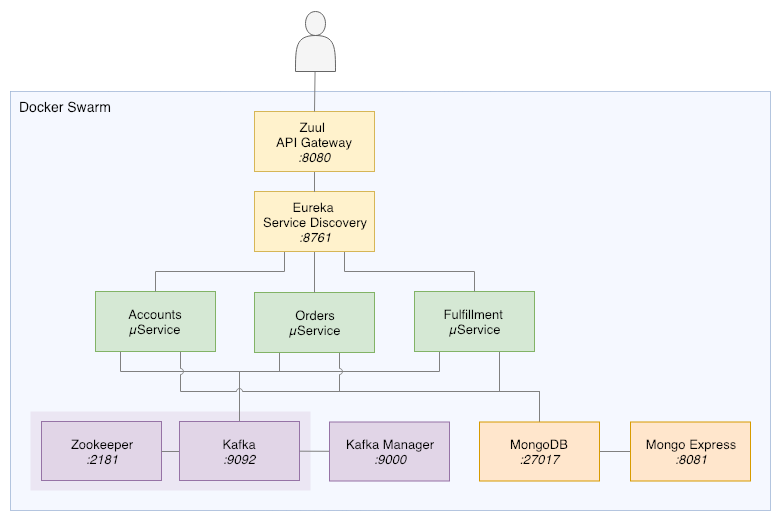 It consists of a single-page application (SPA) and two microservices backed by MongoDB. For simplicity, there is no API Gateway between the UI and the two services, as normally would be in place. 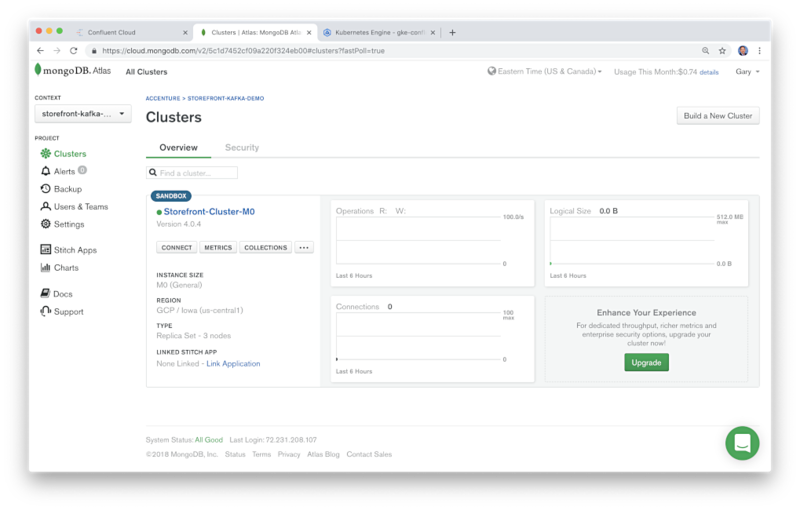 An earlier version of this application was used in two previous posts, including Cloud-based Continuous Integration and Deployment for .NET Development. 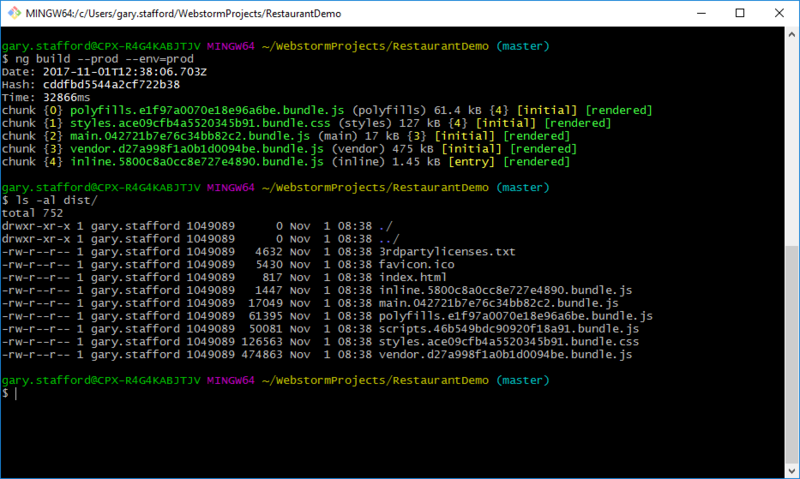 The original restaurant order application was written with JQuery and RESTful .NET WCF Services. The new application, used in this post, has been completely re-written and modernized. The web-based user interface (UI) is written with Google’s Angular 4 framework using TypeScript. The UI relies on a microservices-based API, built with C# using Microsoft’s Web API 2 and .NET 4.7. 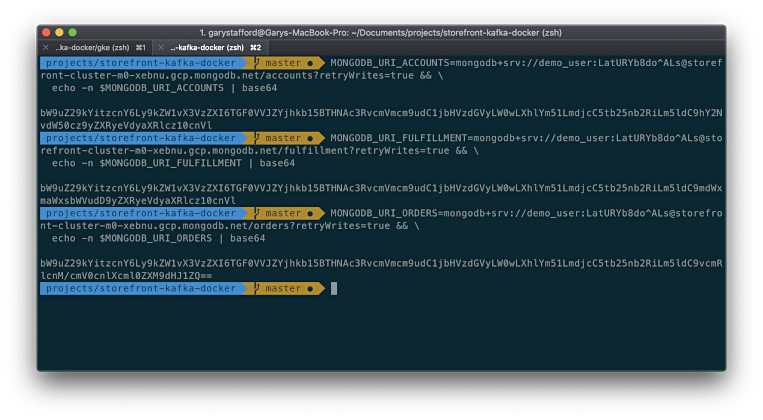 The services rely on MongoDB for data persistence. All code for this project is available on GitHub within two projects, one for the Angular UI and another for the C# services. 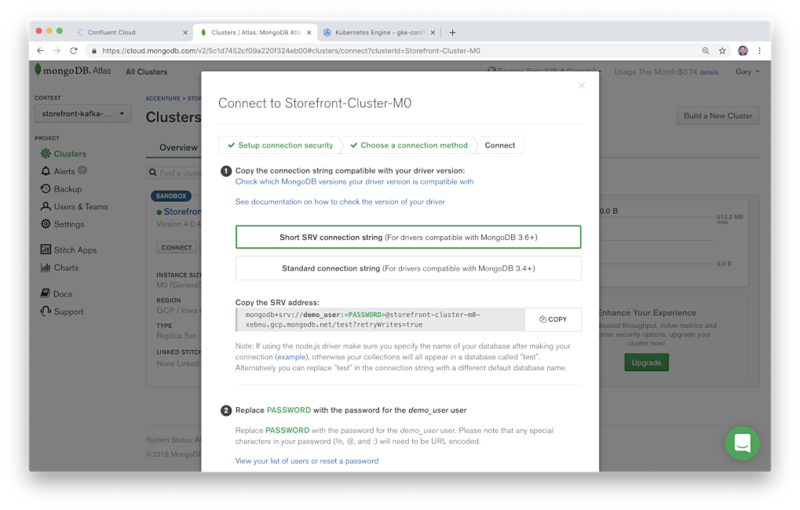 The entire application can easily be built and run locally on Windows using MongoDB Community Edition. 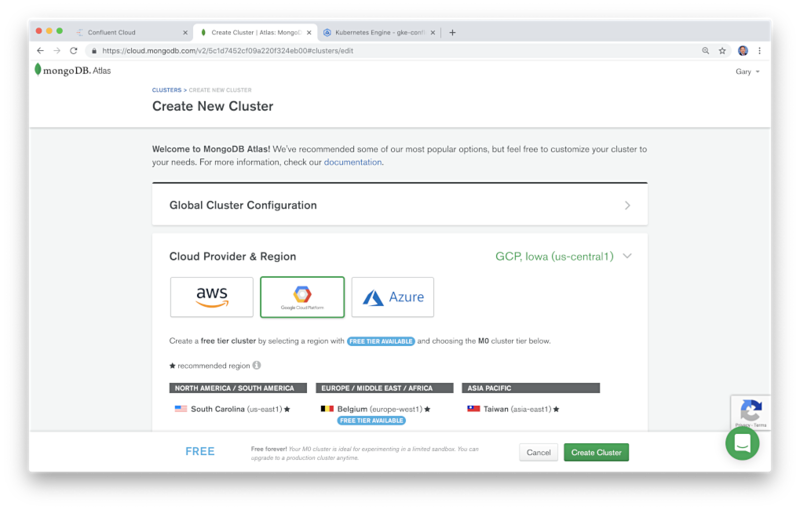 Alternately, to run the application in the Cloud, you will require an Azure and MongoDB Atlas account. This post is primarily about the development experience. For brevity, the post will not delve into security, DevOps practices for CI/CD, and the complexities of staging and releasing code to Production. The API, consisting of a set of C# microservices, was developed with Microsoft Visual Studio Community 2017 on Windows 10. Visual Studio touts itself as a full-featured Integrated Development Environment (IDE) for Android, iOS, Windows, web, and cloud. Visual Studio is easily integrated with Azure, AWS, and Google, through the use of Extensions. Visual Studio is an ideal IDE for cloud-centric application development. 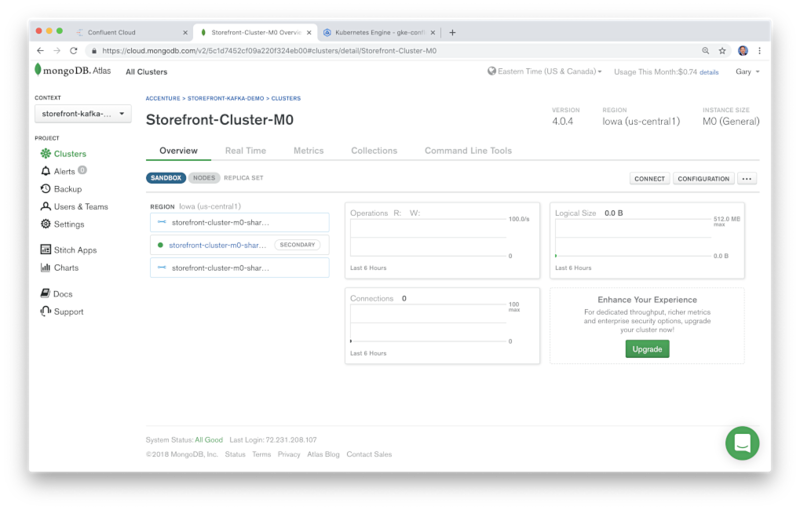 Other tools used to develop the application include Git and GitHub for source code, MongoDB Community Edition for local database development, and Postman for API development and testing, both locally and on Azure. All the development tools used in the post are cross-platform. 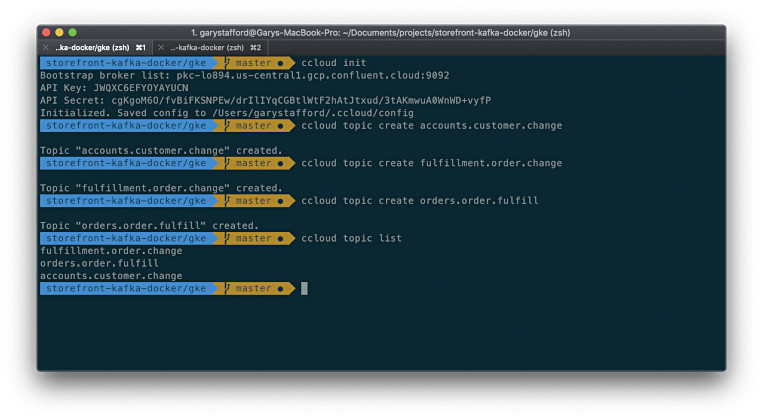 Versions of WebStorm, Visual Studio, MongoDB, Postman, Git, Node.js, npm, and Bash are all available for Mac, Windows, and Linux. Cross-platform flexibility is key when developing modern multi-OS polyglot applications. Postman was used to build, test, and document the application’s API. 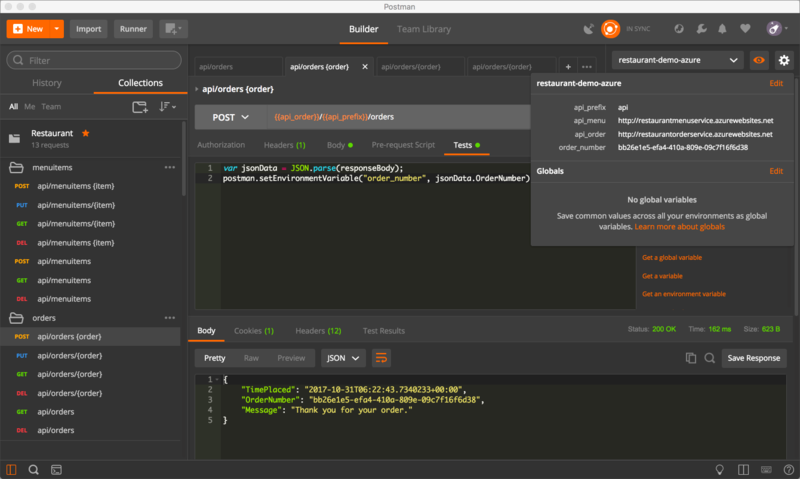 Postman is an excellent choice for developing RESTful APIs. 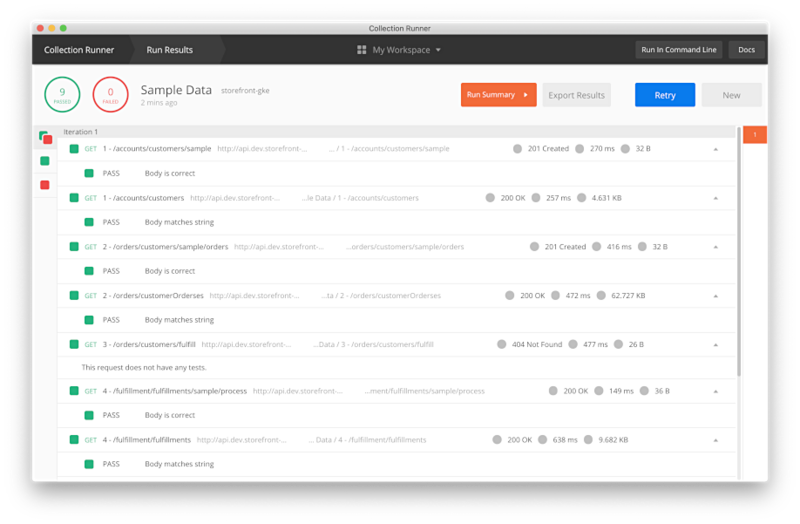 With Postman, you define Collections of HTTP requests for each of your APIs. You then define Environments, such as Development, Test, and Production, against which you will execute the Collections of HTTP requests. Each environment consists of environment-specific variables. Those variables can be used to define API URLs and as request parameters. Postman also allows you to write and run automated API integration tests, as well as perform load testing, as shown below. 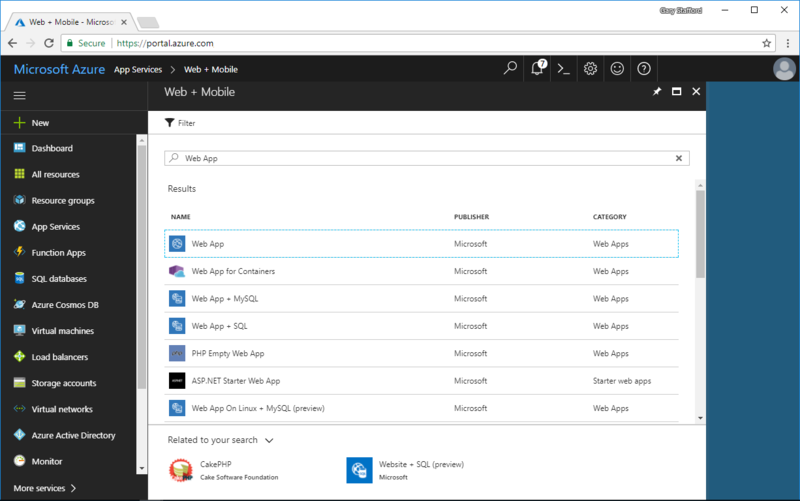 The Angular browser-based UI and the C# microservices will be deployed to Azure using the Azure App Service. 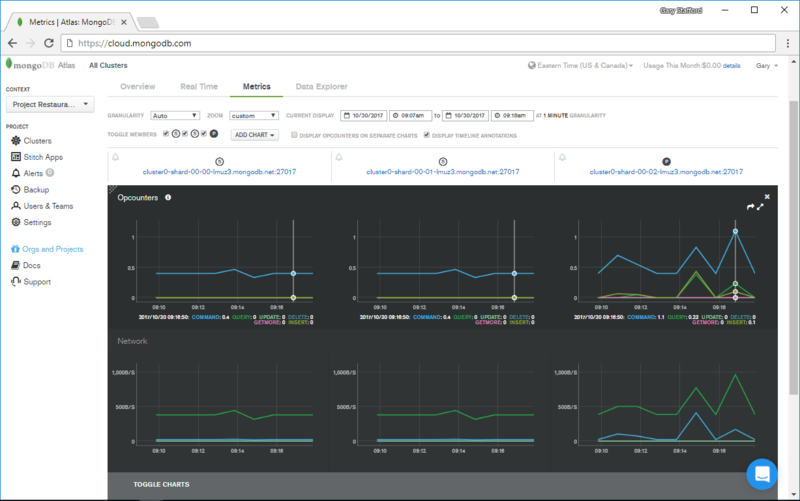 Azure App Service is nearly identical to AWS Elastic BeanStalk and Google App Engine. According to Microsoft, Azure App Service allows Developers to quickly build, deploy, and scale enterprise-grade web, mobile, and API apps, running on Windows or Linux, using .NET, .NET Core, Java, Ruby, Node.js, PHP, and Python. You want to deploy a web application that’s accessible through the Internet. You want to automatically scale your web application according to demand without needing to redeploy. You don’t want to maintain server infrastructure (including software updates). You don’t need any machine-level customizations on the servers that host your web application. There are currently four types of Azure App Services, which are Web Apps, Web Apps for Containers, Mobile Apps, and API Apps. 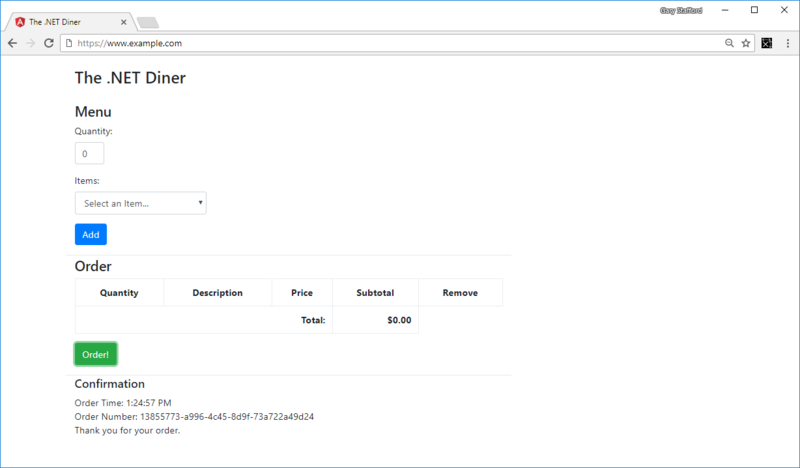 The application in this post will use the Azure Web Apps for the Angular browser-based UI and Azure API Apps for the C# microservices. Each of the C# microservices has separate MongoDB database. 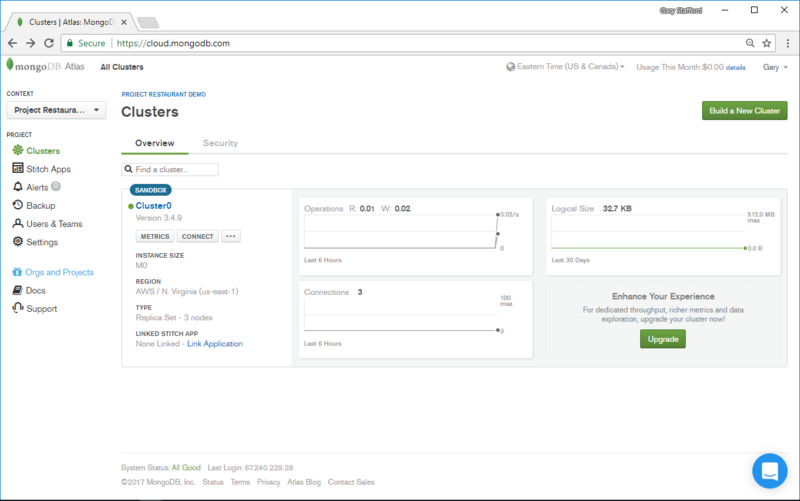 In the Cloud, the services use MongoDB Atlas, a secure, highly-available, and scalable cloud-hosted MongoDB service. Cloud-based databases, like Atlas, are often referred to as Database as a Service (DBaaS). Atlas is a Cloud-based alternative to traditional on-premise databases, as well as equivalent CSP-based solutions, such as Amazon DynamoDB, GCP Cloud Bigtable, and Azure Cosmos DB. Atlas is an example of a SaaS who offer a single service or small set of closely related services, as an alternative to the big CSP’s equivalent services. 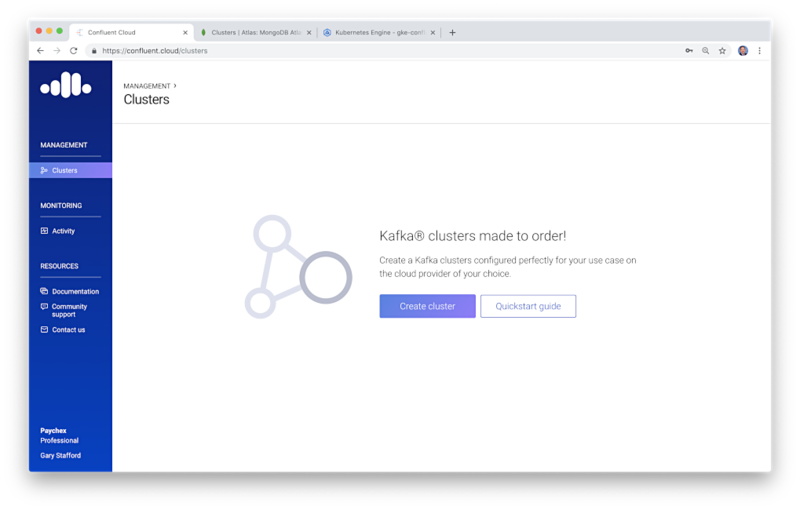 Similar providers in this category include CloudAMQP (RabbitMQ as a Service), ClearDB (MySQL DBaaS), Akamai (Content Delivery Network), and Oracle Database Cloud Service (Oracle Database, RAC, and Exadata as a Service). Many of these providers, such as Atlas, are themselves hosted on AWS or other CSPs. 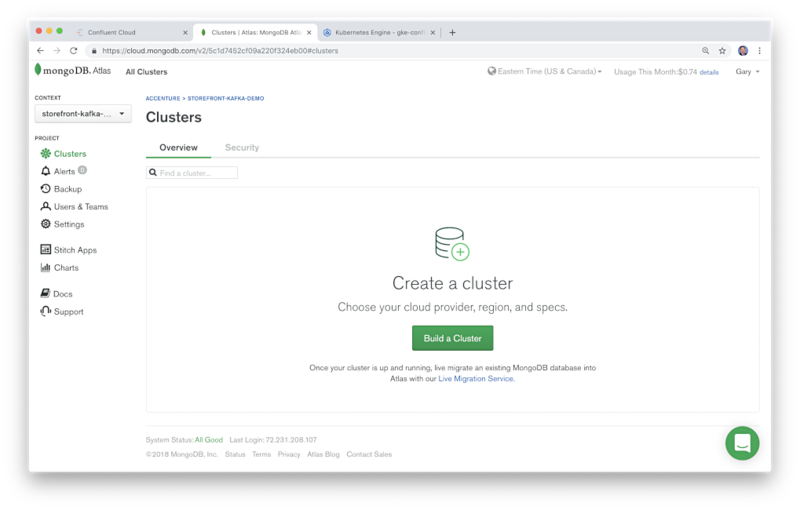 There are three pricing levels for MongoDB Atlas: Free, Essential, and Professional. To follow along with this post, the Free level is sufficient. According to MongoDB, with the Free account level, you get 512 MB of storage with shared RAM, a highly-available 3-node replica set, end-to-end encryption, secure authentication, fully managed upgrades, monitoring and alerts, and a management API. Atlas provides the ability to upgrade your account and CSP specifics at any time. Once you register for an Atlas account, you will be able to log into Atlas, set up your users, whitelist your IP addresses for security, and obtain necessary connection information. 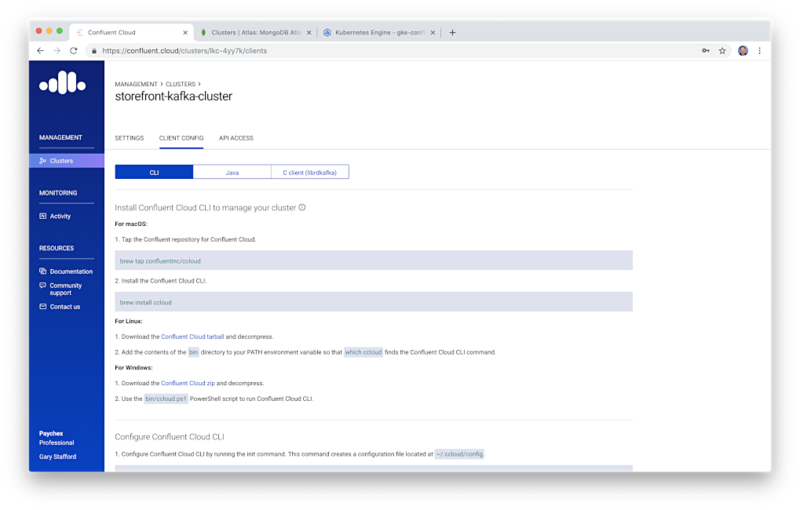 You will need this connection information in the next section to configure the Azure API Apps. With the Free Atlas tier, you can view detailed Metrics about database cluster activity. However, with the free tier, you do not get access to Real-Time data insights or the ability to use the Data Explorer to view your data through the Atlas UI. 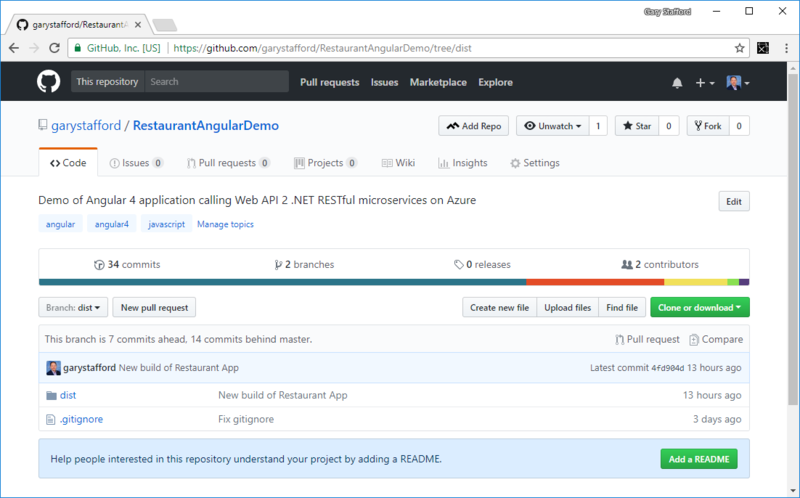 The example application’s API consists of two RESTful microservices built with C#, the RestaurantMenu service and RestaurantOrder service. Both services are deployed as Azure API Apps. API Apps is a fully-managed platform. Azure performs OS patching, capacity provisioning, server management, and load balancing. 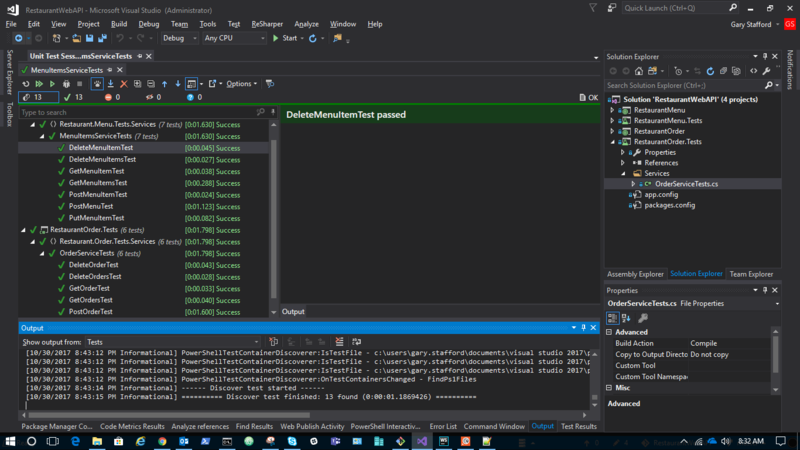 Microsoft Visual Studio has done an excellent job providing Extensions to make cloud integration a breeze. 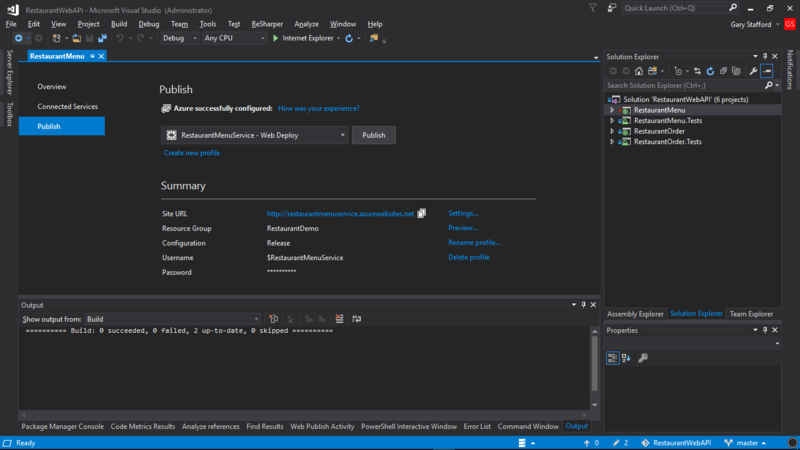 I will be using Visual Studio Tools for Azure in this post. 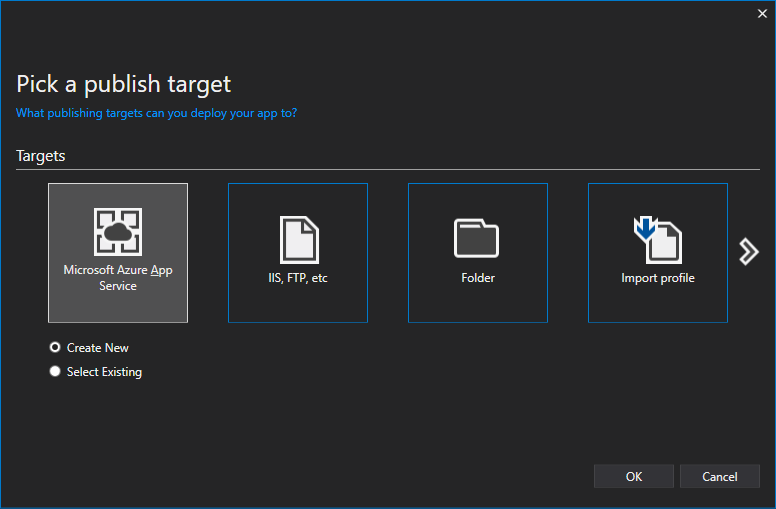 Similar to how you create a Publish Profile for deploying applications to Internet Information Services (IIS), you create a Publish Profile for Azure App Services. 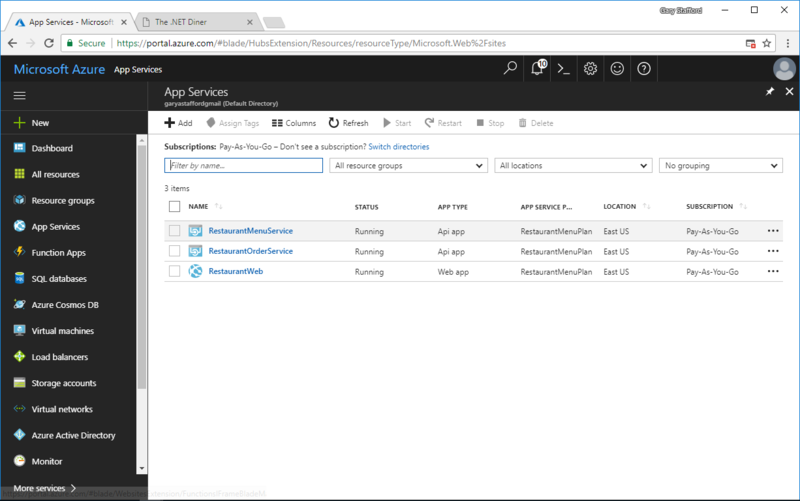 Using the step-by-step user interface, you create a Microsft Azure App Service Web Deploy Publish Profile for each service. 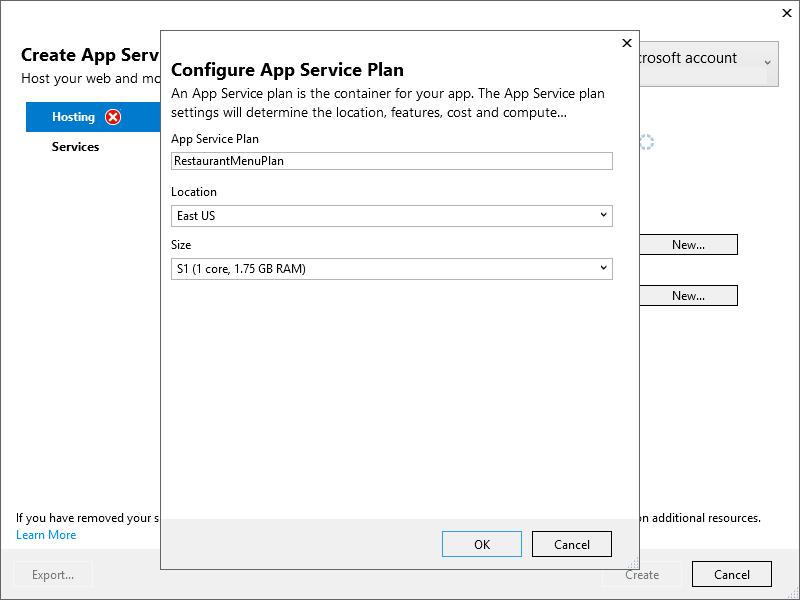 To create a new Profile, choose the Microsoft Azure App Service Target. You must be connected to your Azure account to create the Publish Profile. Give the service an App Name, choose your Subscription, and select or create a Resource Group and an App Service Plan. 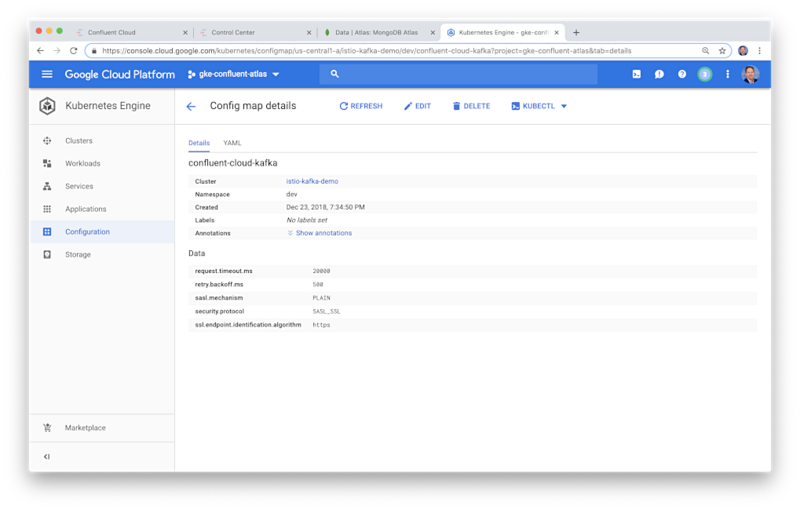 The App Service Plan defines the Location and Size for your API App container; these will determine the cost of the compute. I suggest putting the two API Apps and the Web App in the same location, in this case, East US. The Publish Profile is now available for deploying the services to Azure. 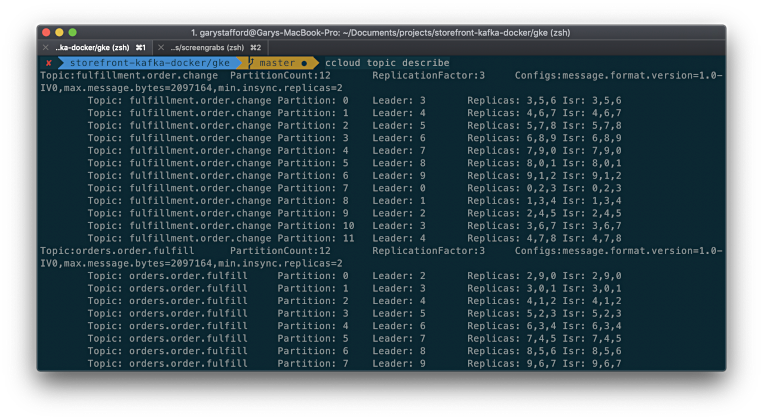 No command line interaction is required. 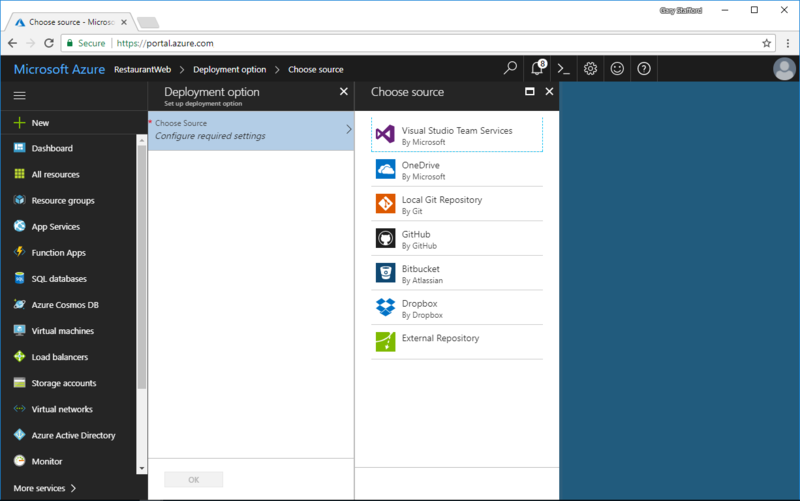 The services can be built and published to Azure with a single click from within Visual Studio. Azure App Services is highly configurable. 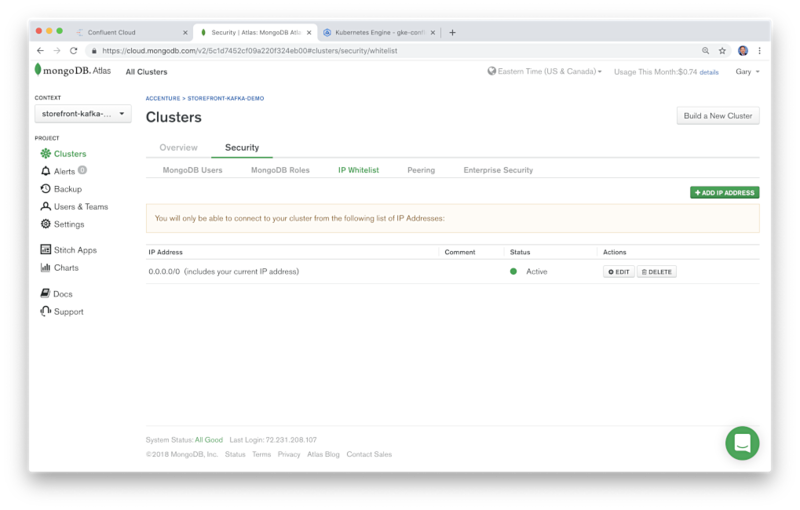 For example, each API App requires a different configuration, in each environment, to connect to different instances of MongoDB Atlas databases. For security, sensitive Atlas credentials are not stored in the source code. The Atlas URL and sensitive credentials are stored in App Settings on Azure. For this post, the settings were input directly into the Azure UI, as shown below. You will need to input your own Atlas URL and credentials. The compiled C# services expect certain environment variables to be present at runtime to connect to MongoDB Atlas. These are provided through Azure’s App Settings. 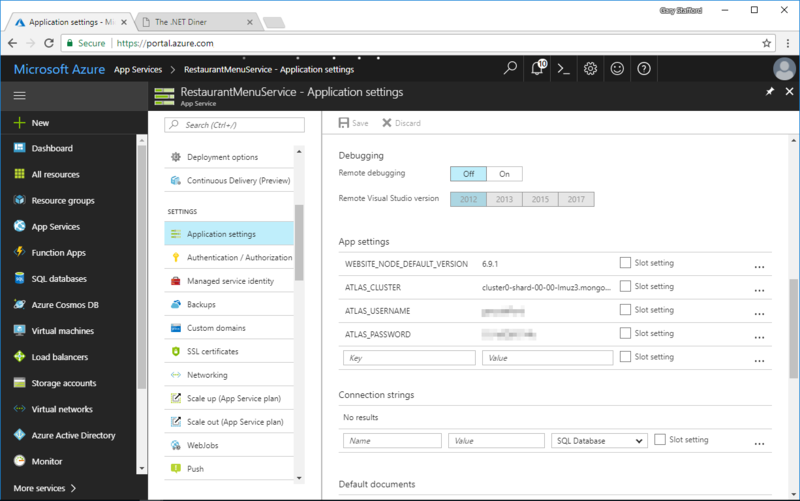 Access to the App Settings in Azure should be tightly controlled through Azure AD and fine-grained Azure Role-Based Access Control (RBAC) service. If you want to deploy the application from this post to Azure, there is one code change you will need to make to each service, which deals with Cross-Origin Resource Sharing (CORS). The services are currently configured to only accept traffic from my temporary Angular UI App Service’s URL. You will need to adjust the CORS configuration in the \App_Start\WebApiConfig.cs file in each service, to match your own App Service’s new URL. The Angular UI application will be deployed as an Azure Web App, one of four types of Azure App Services, mentioned previously. According to Microsoft, Web Apps allow Developers to program in their favorite languages, including .NET, Java, Node.js, PHP, and Python on Windows or .NET Core, Node.js, PHP or Ruby on Linux. Web Apps is a fully-managed platform. Azure performs OS patching, capacity provisioning, server management, and load balancing. 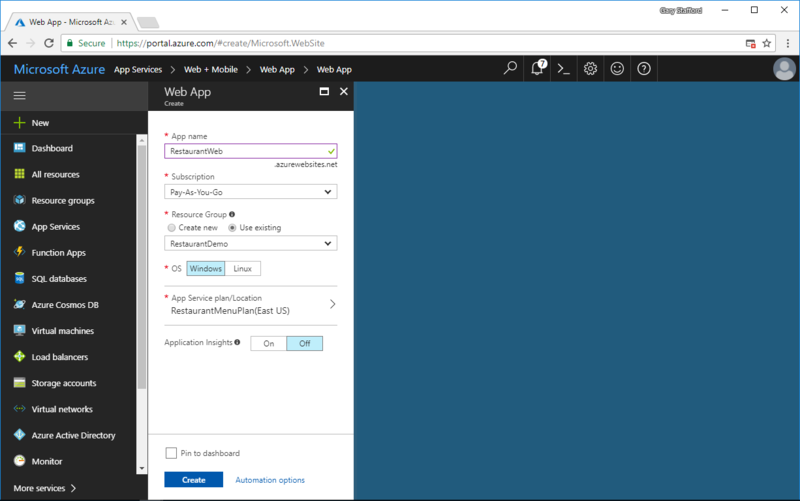 Using the Azure Portal, setting up a new Web App for the Angular UI is simple. 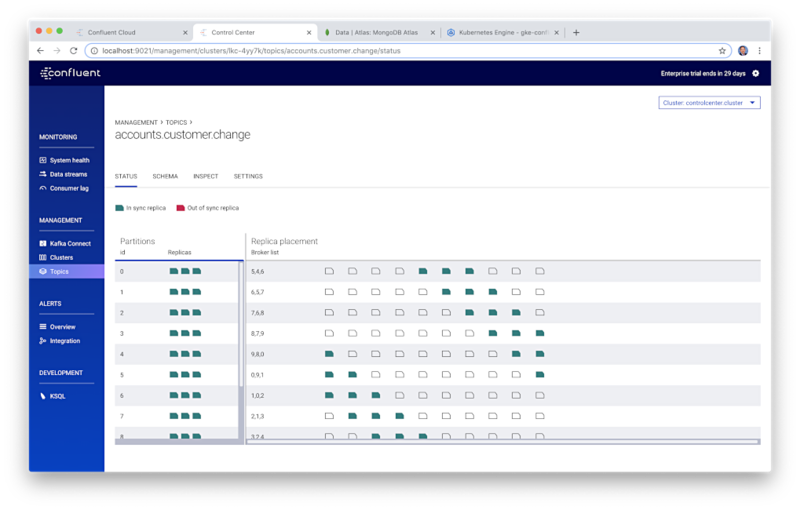 Provide an App Name, Subscription, Resource Group, OS Type, and select whether or not you want Application Insights enabled for the Web App. 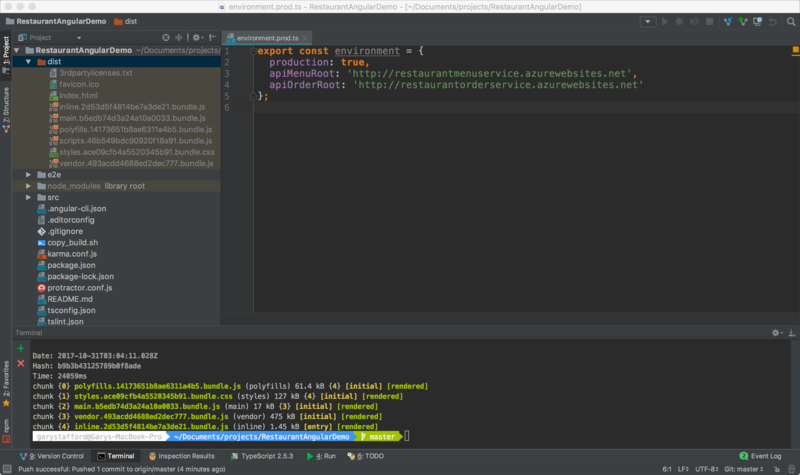 Although an amazing IDE for web development, WebStorm lacks some of the direct integrations with Azure, AWS, and Google, available with other IDE’s, like Visual Studio. 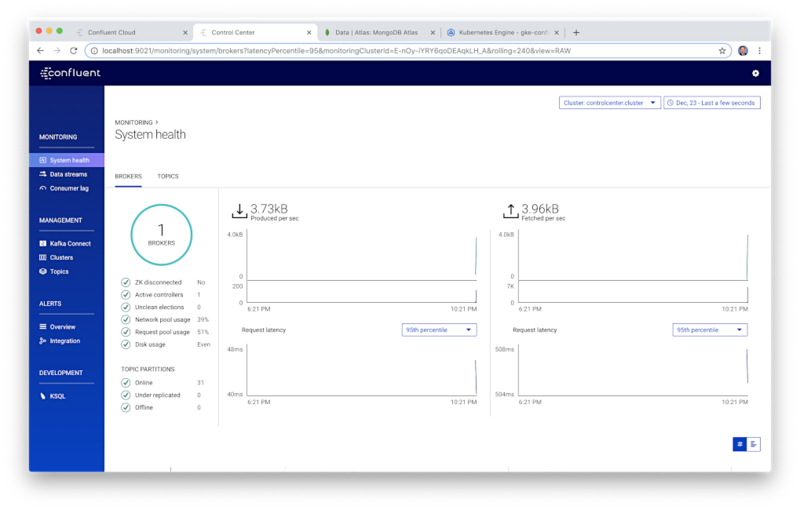 Since the Angular application was developed in WebStorm on Mac, we will take advantage of Azure App Service’s Continuous Deployment feature. 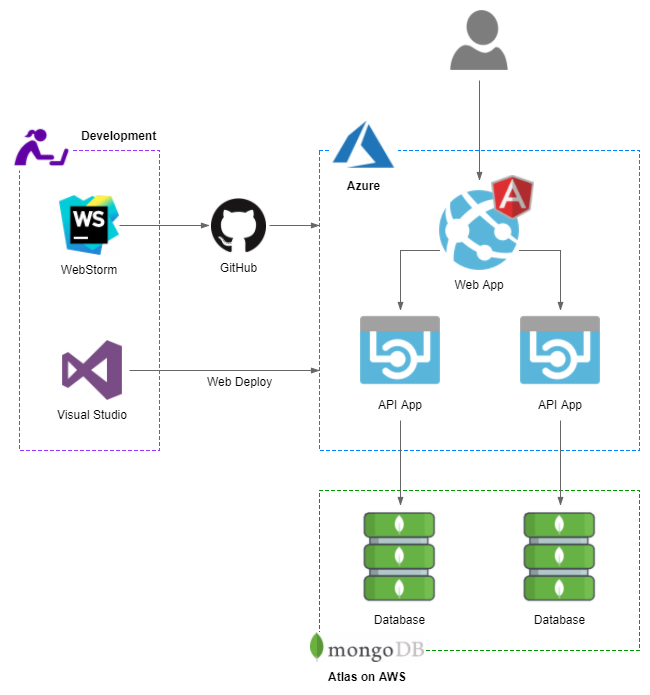 Azure Web Apps can be deployed automatically from most common source code management platforms, including Visual Studio Team Services (VSTS), GitHub, Bitbucket, OneDrive, and local Git repositories. For this post, I chose GitHub. 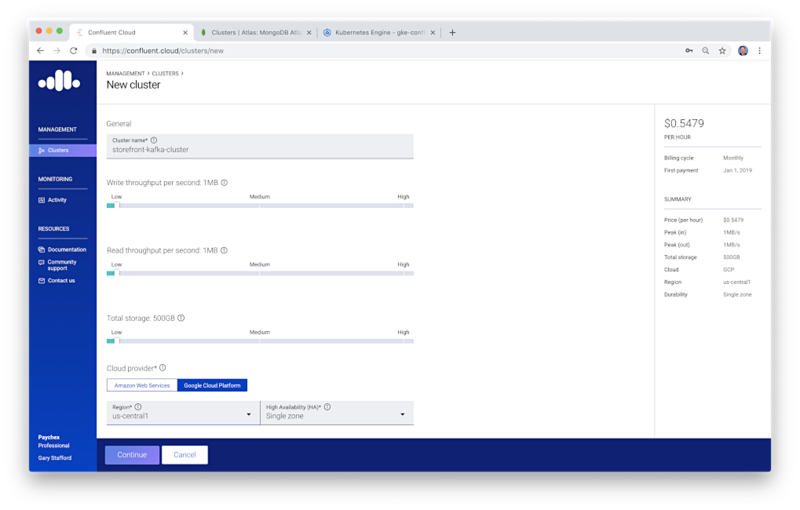 To configure deployment from GitHub, select the GitHub Account, Organization, Project, and Branch from which Azure will deploy the Angular Web App. 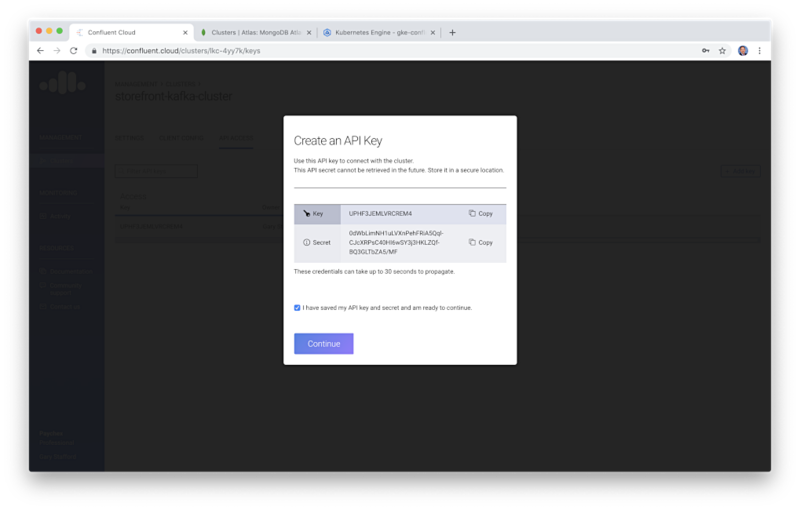 Configuring GitHub in the Azure Portal, Azure becomes an Authorized OAuth App on the GitHub account. Azure creates a Webhook, which fires each time files are pushed (git push) to the dist branch of the GitHub project’s repository. The the --env=prod flag ensures that the Production environment configuration, containing the correct Azure API endpoints, issued transpiled into the build. This configuration is stored in the \src\environments\environment.prod.ts file, shown below. You will need to update these two endpoints to your own endpoints from the two API Apps you previously deployed to Azure. Optionally, the code should be optimized for Production, by replacing the --dev flag with the --prod flag. Amongst other optimizations, the Production version of the code is uglified using UglifyJS. 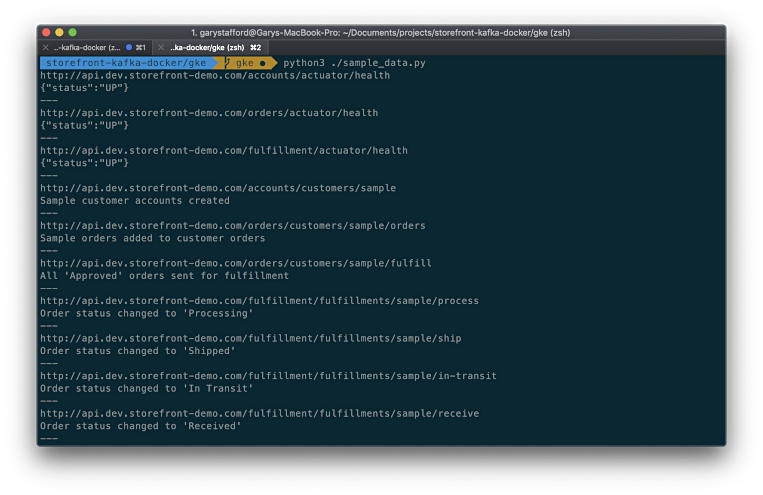 Note the difference in the build files shown below for Production, as compared to files above for Development. 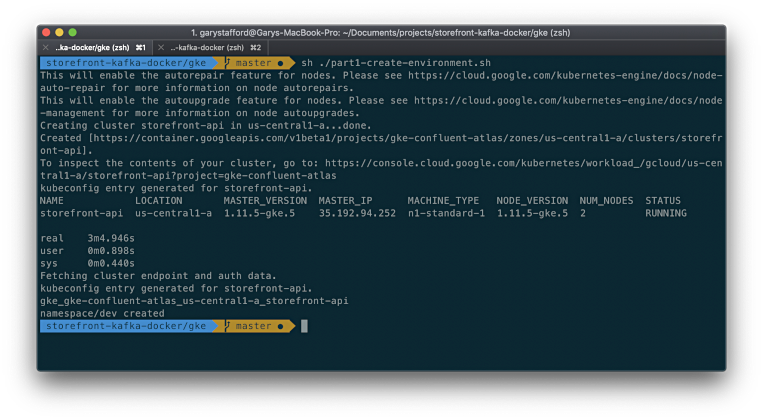 Since I chose GitHub for deployment to Azure, I used Git to manually push the local build files to the dist branch on GitHub. Every time the webhook fires, Azure pulls and deploys the new build, overwriting the previously deployed version, as shown below. To stage new code and not immediately overwrite running code, Azure has a feature called Deployment slots. According to Microsoft, Deployment slots allow Developers to deploy different versions of Web Apps to different URLs. You can test a certain version and then swap content and configuration between slots. This is likely how you would eventually deploy your code to Production. 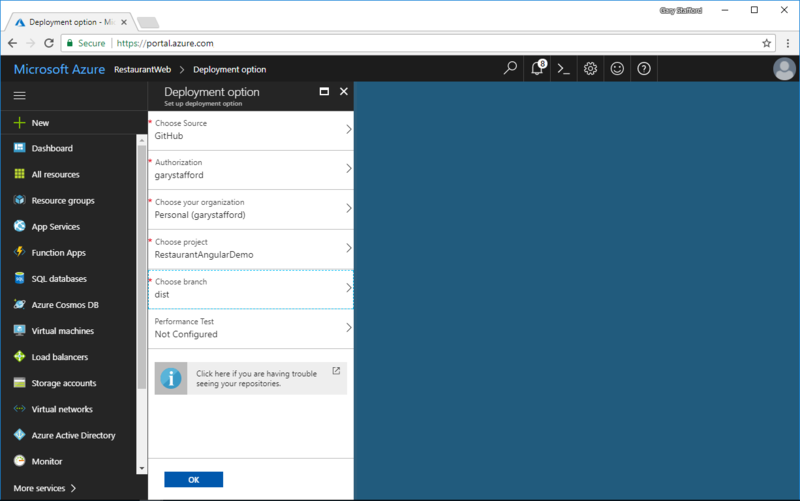 Below, the three Azure App Services are shown in the Azure Portal, successfully deployed and running. Note their Status, App Type, Location, and Subscription. 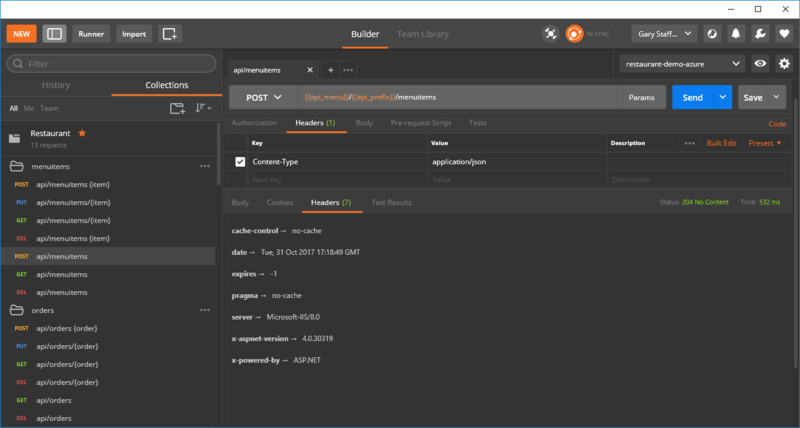 Before exploring the deployed UI, the two Azure API Apps should be tested using Postman. 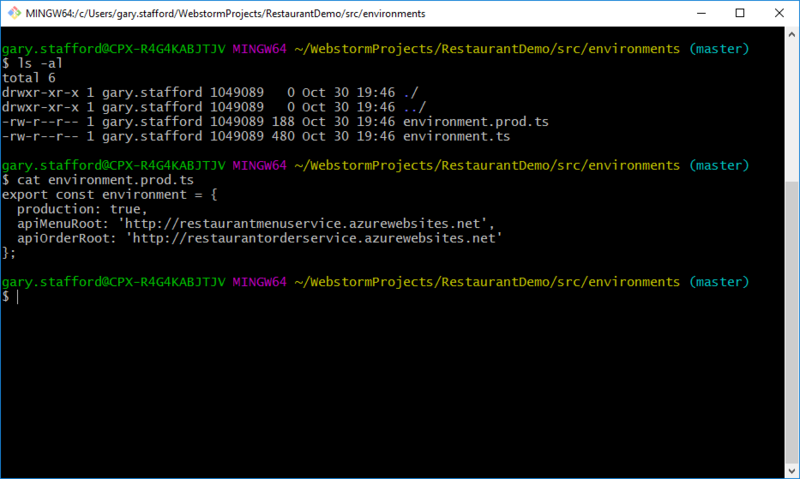 Once the API is confirmed to be working properly, populated by making an HTTP Post request to the menuitems API, the RestaurantOrderService Azure API Service. 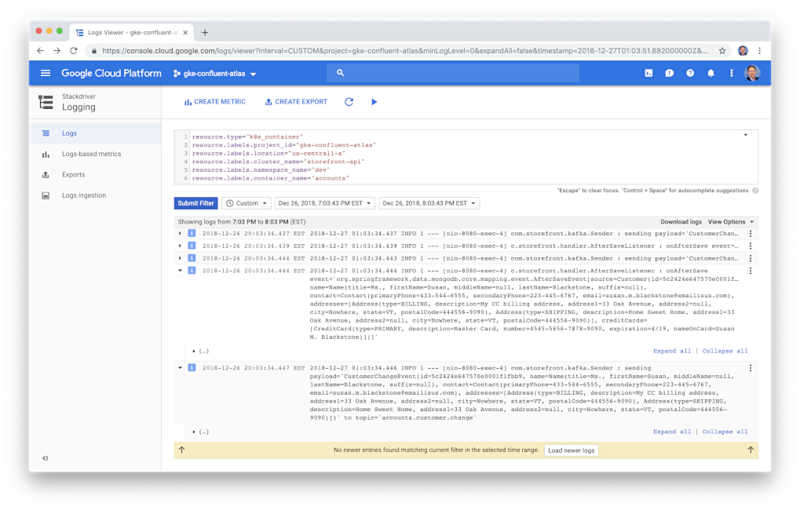 When the HTTP Post request is made, the RestaurantOrderService stores a set of menu items in the RestaurantMenu Atlas MongoDB database, in the menus collection. 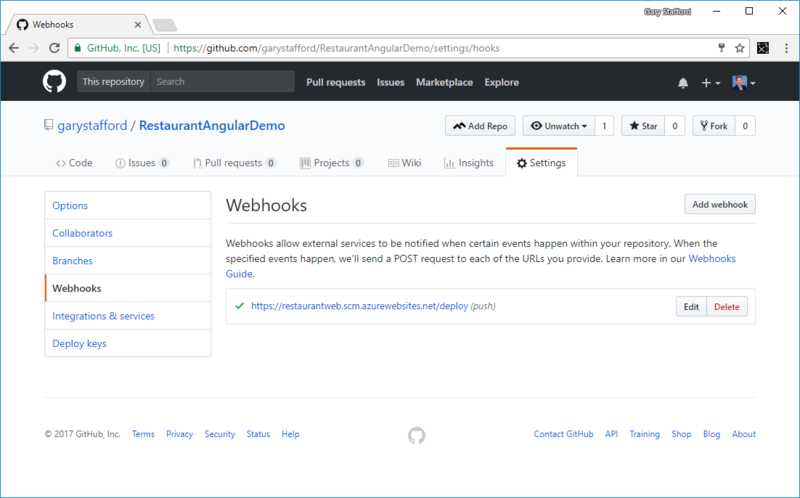 The Angular UI, the RestaurantWeb Azure Web App, is viewed by using the URL provided in the Web App’s Overview tab. 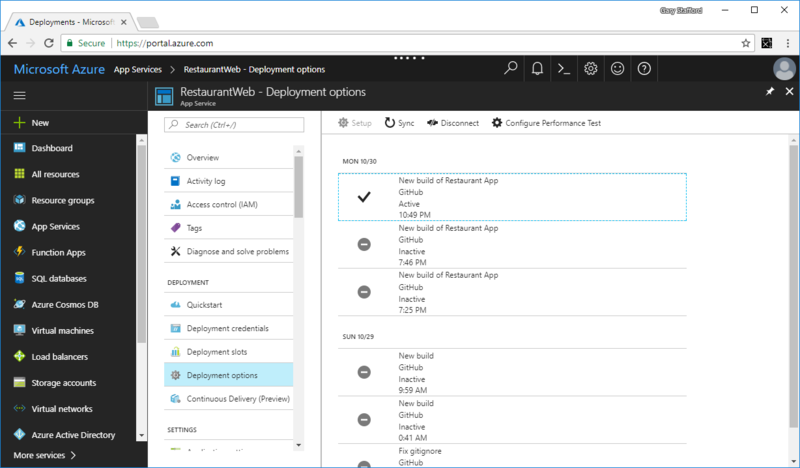 The menu items displayed in the drop-down are supplied by an HTTP GET request to the menuitems API, provided by the RestaurantMenuService Azure API Service. 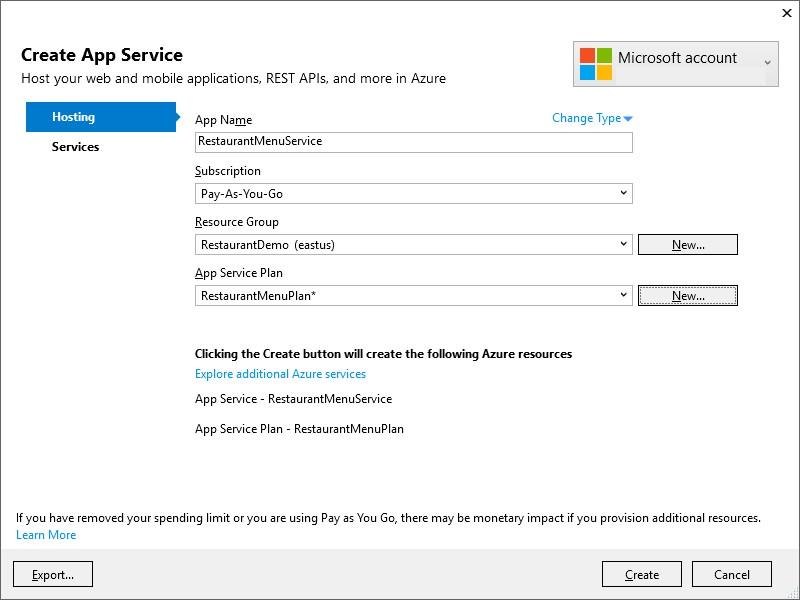 Your order is placed through an HTTP Post request to the orders API, the RestaurantOrderService Azure API Service. 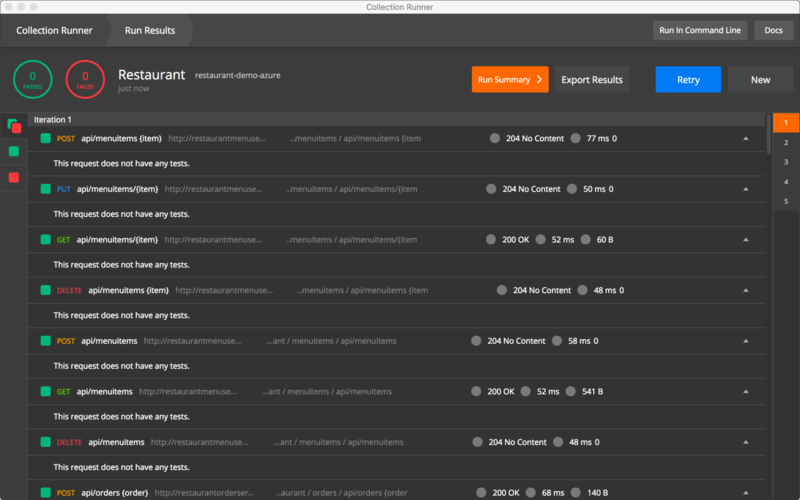 The RestaurantOrderService stores the order in the RestaurantOrder Atlas MongoDB database, in the orders collection. 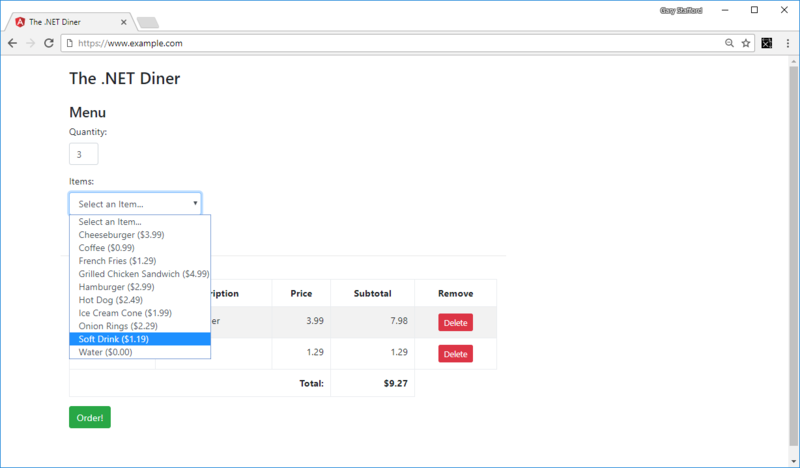 The order details are returned in the response body and displayed in the UI. Once you have the development version of the application successfully up and running on Atlas and Azure, you can start to configure, test, and deploy additional application versions, as App Services, into higher Azure environments, such as Test, Performance, and eventually, Production. 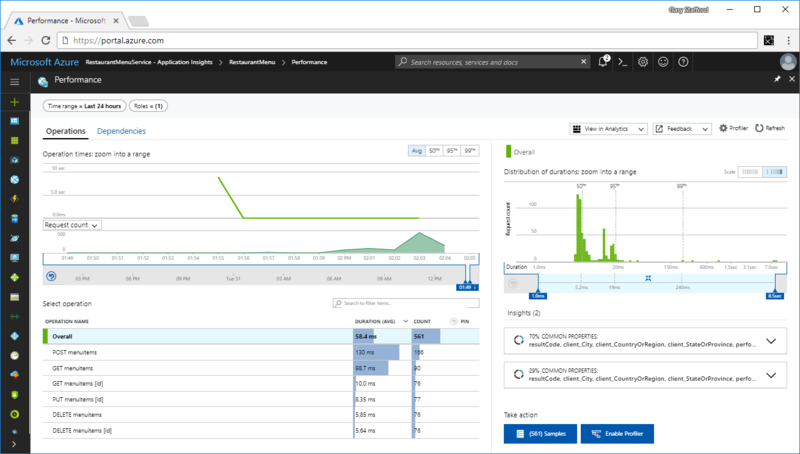 Azure provides in-depth monitoring and performance analytics capabilities for your deployed applications with services like Application Insights. With Azure’s monitoring resources, you can monitor the live performance of your application and set up alerts for application errors and performance issues. Real-time monitoring useful when conducting performance tests. 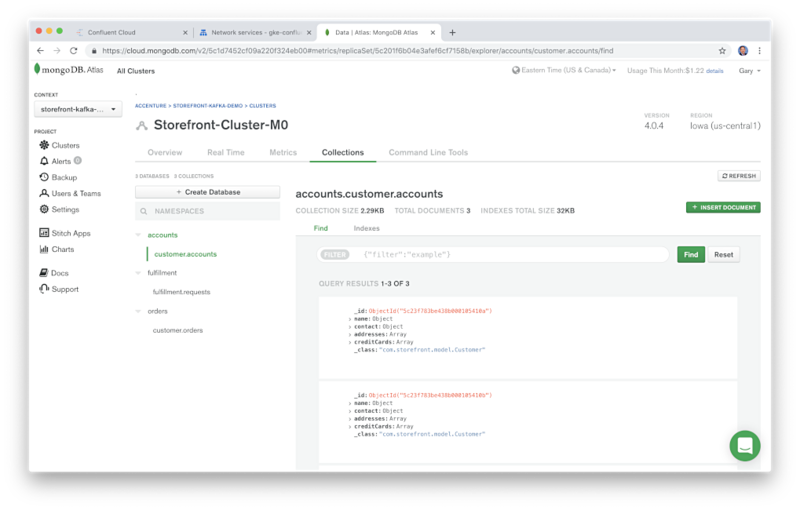 Developers can analyze response time of each API method and optimize the application, Azure configuration, and MongoDB databases, before deploying to Production. This post demonstrated how the Cloud has shifted application development to a Cloud-first model. 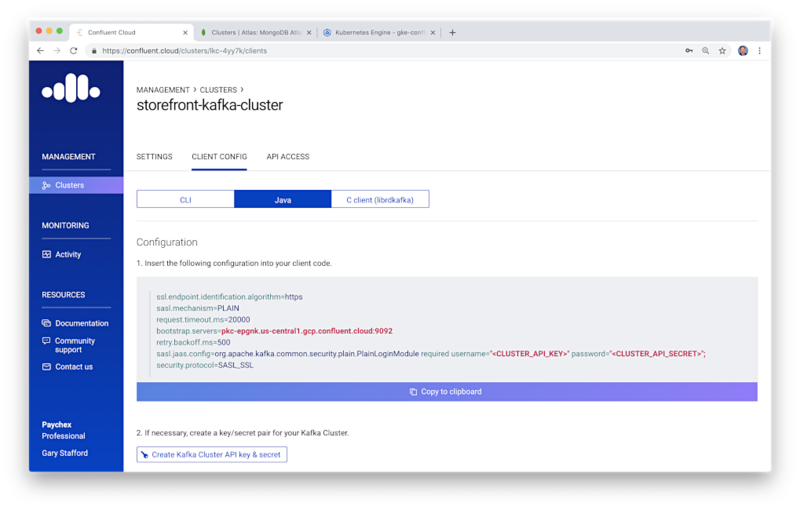 Future posts will demonstrate how an application, such as the app featured in this post, is secured, and how it is continuously built, tested, and deployed, using DevOps practices. All opinions in this post are my own, and not necessarily the views of my current or past employers or their clients.